With over 2 decades of professional window cleaning experience throughout Enterprise, Southwest Ultra Clear offers superior residential and commercial window cleaning services. 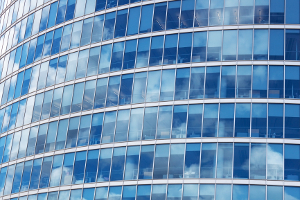 Our team of experts thoroughly cleans all windows for homes, small businesses and highrise structures. We are a fully licensed, comprehensive company. You benefit from the experience and skill necessary to bring you total satisfaction and earn your business time and time again. Home and business owners choose Southwest Ultra Clear, because we perform every job with great care, and treat every customer with absolute respect. We work hard to gain and keep your business. The job’s not done until you are completely satisfied! Our cleaning process is simple. We visit your home or business, evaluate your cleaning needs, give you a fair and honest estimate, and then get on with the job. Our service is fast and efficient, but we do not sacrifice quality. Our Enterprise window cleaners get the job done right the first time. You’ll love the results! In addition to our other distinguished cleaning services, we also offer professional Enterprise gutter cleaning services at affordable rates. It is vital to keep your home or office’s gutters clean in order to allow free flowing water to be channeled through your drain pipe and dispersed to targeted areas away from your home. This keeps water from overflowing and potentially leaking back into your home or damaging items immediately around your property’s base. When it comes to multi-level high elevation window cleaning it is absolutely vital to hire a company that places high priority on employee safety. We take great precaution with every cleaning job we perform. We use only state of the art harnessing and cable equipment that is OSHA approved. 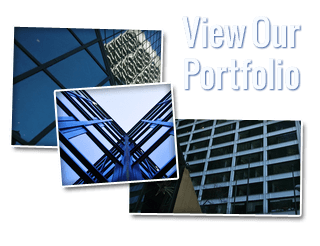 Our certified window cleaning crew is fully licensed, bonded, insured, and highly trained with over 20 years of experience in Enterprise highrise window cleaning. We concentrate on dependable window cleaning service so that you can focus on your Enterprise business! 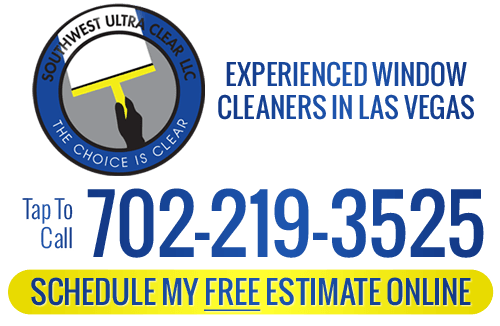 If you are looking for a Enterprise window cleaning service, please call Southwest Ultra Clear at 702-219-3525 or fill out our online request form.